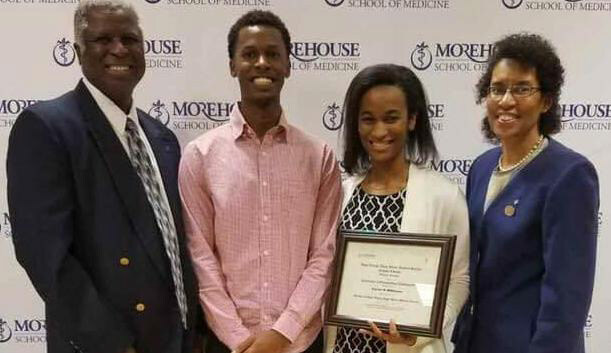 Taylor Williams (center) is joined by her father-Marvin Williams (left), brother Martin Williams (second left) and mother her Kim Williams (right) at Morehouse School of Medicine Honor Medical Society Induction. Taylor Williams had no clue when she decided at an early age to become a medical doctor that she’d be helping to improve the number of Blacks pursuing a career in medicine. 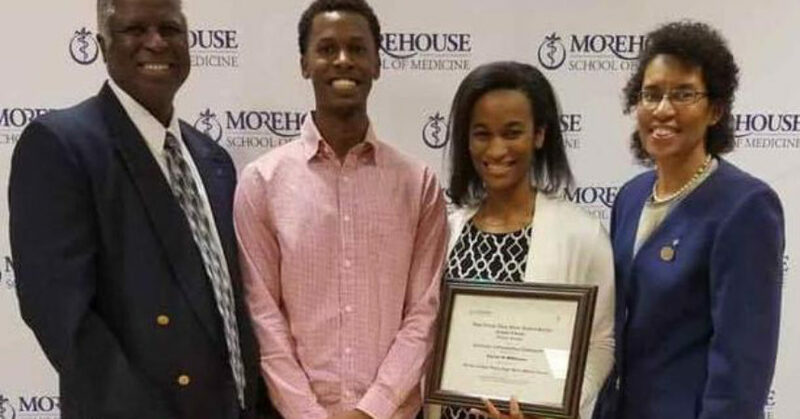 A student at Morehouse College of Medicine, she is already making the kind of impression that indicates she would have a profound impact in the medical field, according to one of her professors. She may even go as far as becoming one who helps to create health policies, said Dr. Marvin Crawford, who specializes in internal medicine and is Director of internal medicine clerkship at Morehouse. Crawford went on to say that Williams, who plans to practice plastic surgery after graduating next May and completing her residency, could help to reduce a shortage of Blacks in the medical profession. Research has shown that only six percent of practicing physicians are Black. Blacks make up only one percent of the 1,500 the students who were accepted in 2016 from about 53,000 who applied for medical school. Williams isn’t just impressing her professors. She was recently accepted into the Alpha Omega Alpha Honor Medical Society. Reaction to the honor was swift, especially from members of her church, Bethel Missionary Baptist. “We are very proud of Taylor,” said Rev. R. B. Holmes, pastor at Bethel and publisher of the Capital Outlook. “She has always been an excellent student, a person of high morals, caring and compassionate. The society’s membership is made up of people in the medical field who conduct themselves with honesty, leadership, morality, virtue, altruism. Additionally, members are expected to dedicate themselves to serving others. That also is part of Morehouse’s mission statement and Williams said she’s committed to do just that. Especially in communities faced with health inequities. Elaborating on his belief that Williams could be a policy maker in health, Crawford said he came to that conclusion because of her commitment to learning all she can about the profession. Williams was a second-grader when she began to show interest in becoming a physician, said her mother, Kim Williams. She took an unwavering approach to learning all she could at an early stage, her mother said. Her interest in science became more intense when she attended Rickards High School, where she participated in the International Baccalaureate program. At the same time, she developed an interest in music and became proficient at playing the trumpet, violin and viola. She played in Richards’ marching band. She joined the Marching Chiefs when she attended FSU for her first four years of medical studies in 2012. 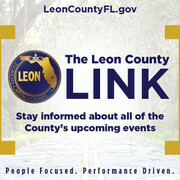 Williams also played with the Tallahassee Symphony Orchestra and was a member of the music assembly at Bethel Missionary Baptist Church. At no time, though, did she consider music as a better career choice, Williams said. Medicine was too intriguing, she said.